Deep Space Station 35 is a Beam Wave Guide, 34-metre diameter antenna. 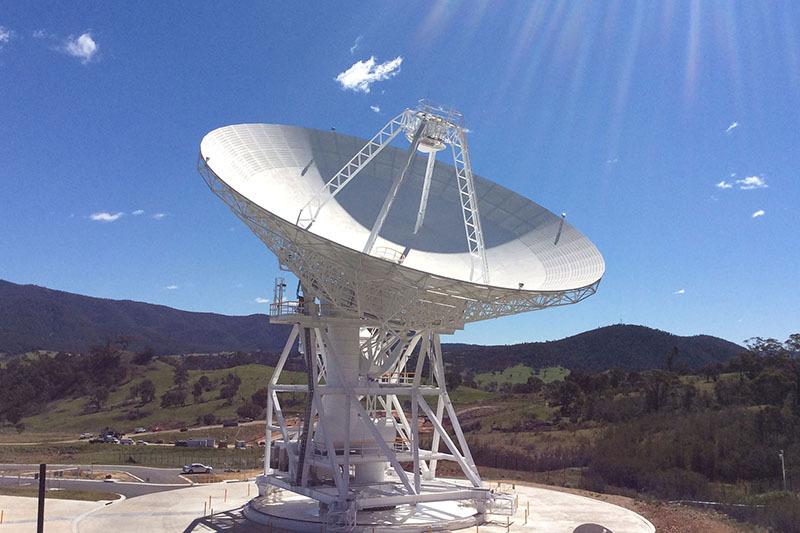 The antenna commenced operations in October 2014. Deep Space Station 35 (DSS-35) was built from 2010 to 2014, as part of the Deep Space Network's Aperture Enhancement Program (DAEP), coming into official service on 1 October, 2014. It was officially opened on 24 February, 2015. 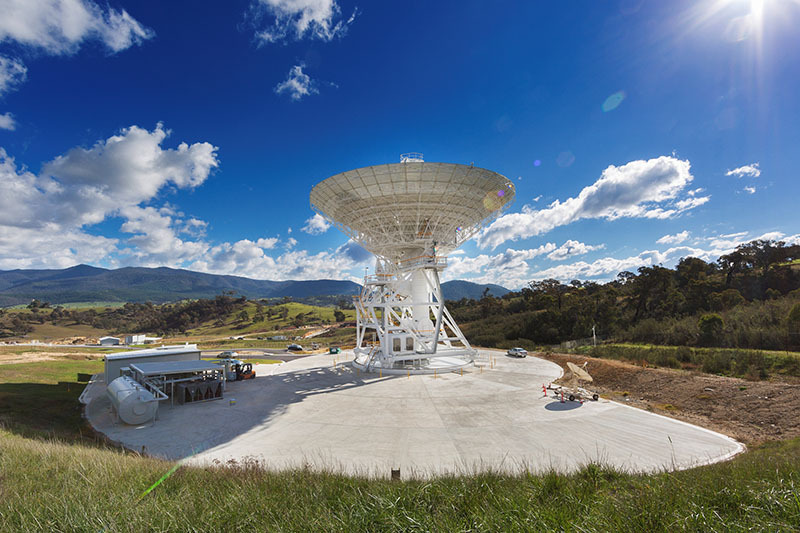 DSS-35 was the first of several new dishes being constructed throughout the Deep Space Network to provide additional communication resources to handle the expected growth in deep space missions being conducted by the space agencies of many nations. The design uses 'night sky cooling' to cool the transmitter. 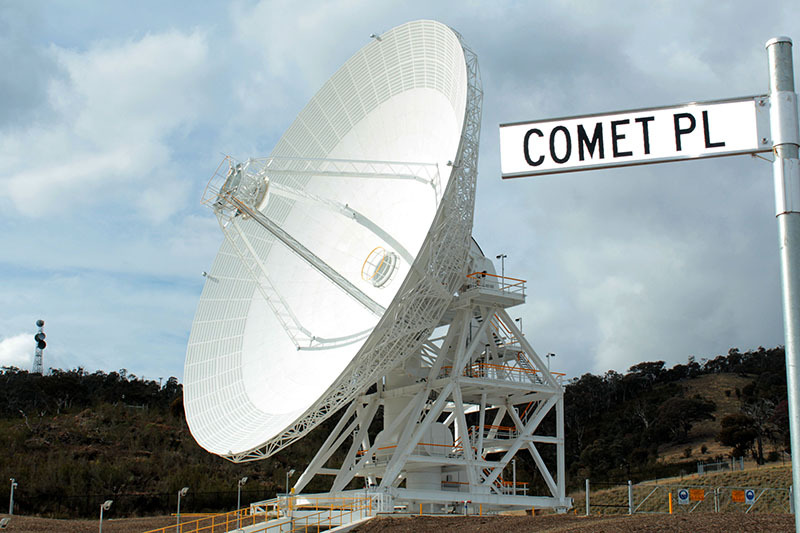 Generated heat is dissipated into the concrete slab surrounding the antenna. At night, when the temperature is generally cooler, the heat from the slab is released to the atmosphere. Find more photos of Deep Space Station 35 in our Gallery.